So it is finally here, I remember blogging about how Matt was recognized as a Top Farmers Agent and therefor we get a trip and then time flew by and here we are!! Tomorrow we took off to pack, run errands and clean house for my cousin Brittany to stay while we are gone. And your gonna laugh but I am going to dig out my emergency Xanax because the thought of leaving all 4 of my babies (animals) makes me want to lay on the floor and cry! (that is literal not a figure of speech)I am more than aware of the fact that we are leaving them in loving hands and my grandparents are going to come over and see them also but I literally love them JUST AS MUCH as all you people love your kids! And ps… no comments on how that will change when we have a kid one day please because I bed to differ! Anyways… back on track! We leave at 7am Friday morning and come home next Wednesday night at midnight! I am excited and will be even more so once I get past the leaving part and packing, which might I add the weather said the highs are only 70 so what to wear? what to wear??? I thought about trying my hand at mobile blogging while I was away but don’t count on it and if you see some chicken scratch of a post while I am away now you know…I tried! HA! 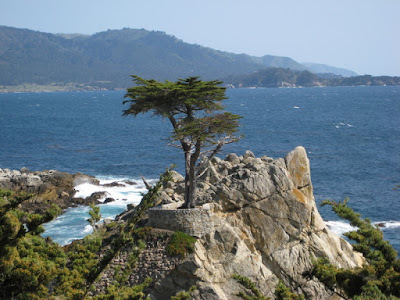 I added some photos of some things we are going to do/see for you to think of me while I am gone… the first is a picture of our hotel the Hyatt Regency Monterey Spa and Resort and I hope it looks half as good in person as it does in the picture below.. 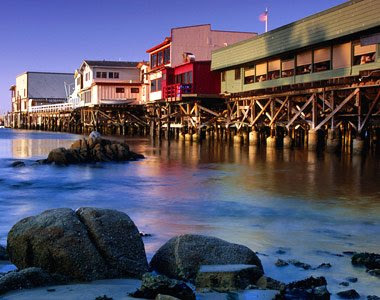 This is the Monterey Fisherman’s Wharf it is full of shopping, seafood, restaurants and fun things to do and I think we are gonna hit this up next Tuesday!! 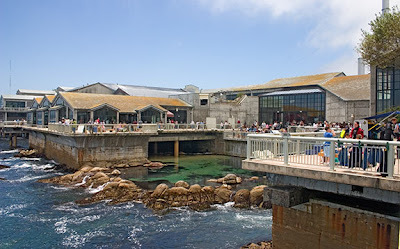 This is our tentative Saturday morning “outing” the Monterey Bay Aquarium… it is the biggest in the US and you know all those movies and commercials with an aquarium? Well it is this one!! Everyone we talk to and every site I go to says this is a must see!! 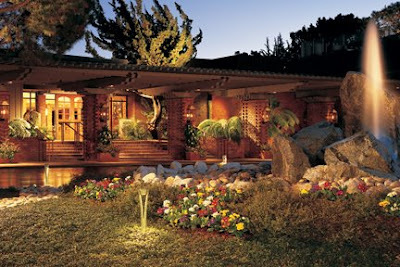 This is just part of the picturesque landscape………. Well guys this may be my last post for a week or so (*TEAR*)….. so You Okie’s don’t melt and I will try to not have a Meltdown when I say goodbye to the Kiddos! Have a great trip! We'll miss you while you are gone.